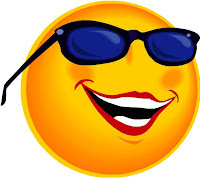 Indiaplaza Blog For smart shoppers |: Sunglasses – the summer companion!!! Sunglasses – the summer companion!!! As the hottest season (i.e)summer has approached, we could see more colorful summer fashionable items for sale everywhere. However, there is a particular item that is valuable not only as fashion statement, but also for health benefits which is Sunglasses. Exposure to sunlight/artificial UV rays can damage the eyes. Long-term exposure to UV radiation can lead to numerous eye disorders like skin cancer around the eyelids, cataracts, and other health issues. Everyone is susceptible to eye damage due to UV radiation irrespective of age or ethnic origin. The easiest way to start protecting the eyes is by getting sunglasses. Sunglasses comes with significant number of fashionable shades and stylish designs. So pick the best fit based on your needs from our new collection of sunglasses. Nice glasses dude..but do you know we can use these glasses even for giving light in winters.?? Ya I am right we can also do the vice versa that is we can use these glasses for giving light in winters.